Why are your Service Agreements, (extended warranties) so economical? What is “Wear and Tear" or "Failure Coverage"? Are your Service Agreements insured? How can I pay for my new Service Agreement? When does my agreement become effective, and then expire? What is an extended warranty or service contract? Who should I buy the extended warranty from? The dealer, agent or Broker? What type of policies are available? What happens if I don't buy one? Better question....Why buy an extended warranty? Where can you take your vehicle for service? Professional Brokers to discuss the coverage that best fits your needs. making our recommendation on your behalf.. As your agent we will shop the"
"wear and tear". This means that if a part fails because it wears beyond O.E.M. agreement, these monies are secured for your protection. paid. Look for this in any carrier. cancellations should the vehicle be traded or stolen..
coverage began. You will receive your refund in 30-45 days. inspection (if required by age and mileage) and deposits. usually have a surcharge built in, without your being aware. Beware of carriers offering buyback coverage. Extended warranties are typically nothing more than a service contract. I consider it an insurance promise to pay a repair facility to fix or replace failed parts. I do not need to tell you that vehicles break or wear out. Where most manufacture warranties expire in 3 or 4-years, an extended warranty can provide some repair relief afterwards. Consider this, your vehicle is one of your largest expenses. Here is something to put the cost of your vehicle in perspective and this only one circumstance. An middle range house costs around $150,000. This equates into a monthly mortgage of around $1100 per month. We put this into a monthly cost for comparison. If you consider most households have at least 1 continuous monthly auto payment. A vehicle payment can easily be 30% of your mortgage. If you purchase any type of high end vehicle it can be 50% of your mortgage. Many circumstances would make this the second highest expense. Will you have to take your Vehicle to a mechanic? Vehicles today are complicated and if you do not have the correct equipment, impossible to diagnose, therefore making it harder to repair. Only the Manufacturer can offer "Bumper to Bumper" coverage!!! "Bumper to Bumper" (from the manufacturer) covers EVERY electrical and mechanical part on your vehicle, including cosmetics, vinyl, leather, upholstery, rust, paint, paint oxidation, corrosion, emissions, and the exhaust system. Any internet website or salesperson stating that their agreements are "Bumper to Bumper" are misrepresenting their coverage!!! This is the most comprehensive Service Agreement that you can purchase for your vehicle. Since there are so many parts on a car, they can only list what is excluded. All parts on the vehicle not listed in the exclusions, are covered. Hence the phrase "Exclusionary." Land Rover Extended Warranties offers Exclusionary Coverage for most vehicles 20 years old or newer with less than 60,000 Miles on the Odometer. Most of the Auto Warranties for New & Used Vehicles found at many Dealerships, Credit Unions or on Internet Websites are called "Listed Component" agreements. They only "List What is Covered". All of the other parts on the vehicle Not Listed in the Agreement are Excluded, hence the lower cost. e.. DO NOT BE FOOLED BY LOWER PRICING AND INFERIOR COVERAGE! All internally lubricated parts of the Engine, Transmission, Drive Axle Assembly (front or rear), and Transaxle Assembly are covered. Seals and Gaskets and the 4x4 Transfer Case can be covered at an additional rate. Once the Factory Warranty has elapsed, our Extended Service Program will cover the complete vehicle and Conversion Unit out to its selected time frame or mileage, as outlined in the agreement. Underwritten by one of our primary carriers, our service program will cover the Alt Fuel Conversion Units "ONLY" while the vehicle is still under the original Factory Warranty Period (the first 3 years or 36,000 miles of your odometer reading). Who should I buy the extended warranty from? Dealers-You can buy an extended warranty from your dealer or an independent broker. Buying the warranty from a dealer is easy. They make it more convenient for you to purchase an extended warranty, they just add it to your loan. Your dealer may very well be reselling the warranty similar to a broker. This is the reason you can buy a vehicle from any of the major manufactures with an extended warranty with a top name from the manufacture. (I did not name the manufactures for commercial reasons.) If the dealer is reselling the warranty you can be assured they have included a mark up, sometimes doubling the cost. The dealer also sales only the one plan. They may not give you several options to chose from. Broker-Unlike the dealer you may not be able to add it to your loan. Check out your broker some of them are fly by night. These are the bad things. The good things I have added in the bulleted list. A broker can offer you more or modify a plan that works for you. You do not have to cough up your money 3 years in advance! If you are like me you keep your money as long as you can. You may be able to work out a low payment plan with your broker. Get more for your money. Where it may not seem like it is less money, you get more coverage. You can get a brokers to argue in your behalf. ►If you can do with out the the part about adding the cost of the warranty to the loan, brokers have more benefits. You can get more from a broker, but make sure you do your background homework. Use the resource links from the home page. Any ASE, ASA, or IATN (international automotive technicians network), certified repair facility in the continental united states, and Canada. They repair facility is paid how they want to be paid direct by corporate credit card or check. Some excellent programs are still on a reimbursement program, and that is fine with a reputable established company. You can go to any certified ASE, ASA, or IATN repair facility in the continental U.S. and Canada. This can be your local trusted mechanic or the dealership, which ever makes you feel most comfortable. They call a toll free number, open up a claim file, get approval and complete your repairs. It is just that simple! Here are some important tips to remember in your search for an extended warranty for your vehicle. There may be many more issues you will have questions about, but these points should always be addressed before purchasing. Do: Read your contract before you buy. Many consumers find warranty contracts confusing. Exclusionary, listed component, powertrain, bumper to bumper and comprehensive, each of these terms should be plainly defined in your contract. Be sure of what you are purchasing, some coverage's can be misrepresented by unethical sales people. So READ READ READ your contract. Do: Ask if the warranty company is direct insured or re-insured. There are two types of companies in the warranty industry, direct insured and insured by a Risk Retention Group. Direct insured companies have state and federal government guidelines that they must follow in order to do business and are required to keep more reserves in trust to administer claims. Risk Retention Groups face less government restriction and are not required to meet the same standards, so you should verify their business history, the amount of time they have been in operation, where the company is based and their financial stability. A financially weak Risk Retention Group can be the death of an extended service agreement, some of the best known warranty companies are insured by Risk Retention Groups. These types of extended warranties are not necessarily bad options, but you should know all the facts about them before you buy. If this is a major concern for you, then you should ask for quotes from direct insured companies only. Do: Ask for information about the warranty company. There is no fault in asking questions about the warranty company you have been quoted. Ask how long they have been in business, how they pay their claims, and if they are based in the United States. Also ask who the administrator of the contract is, how they are insured and any other background information that will help you to make your decision. Be sure to follow up on the information you receive, someone running their mouth isn't coverage. Empty sales promises won't put wasted money back in your pocket. Do: Ask if the contract being offered covers full parts and labor. Some service contracts may cover only a portion of the cost of parts replacement and labor, while other warranty plans may replace failed components with used parts. Be sure to verify that 100 percent of parts and labor cost are covered for the necessary repair. Additionally, make sure that the contract replaces parts that fail with either new or rebuilt components meeting manufacturers OEM specifications. Do: Get a second opinion. Very often individuals may feel the need to get a second opinion. If your uncertain or confused about something in the contract set some time aside to review the contract with your repair facility. Since they are familiar with you and your vehicle they will give an unbiased opinion. After all they will ultimately be the people working with the Warranty Provider to get you back on the road. If visiting a Dealership for an opinion be sure to work with the Service Department. A New or Used vehicle Sales associate will most likely try to get you to purchase one of their contracts at a higher rate. Do: Check the BBB Report. Check the status of the company with the Better Business Bureau BBB.Org. BBB reports provide information on over two million organizations. Many companies participate in the BBB's Online Reliability Program, however, this program does not give the current status of complaints. Be sure to visit the BBB.org main website and lookup the company name to see a complete report. It is a good idea to check before you invest. Not all companies are members of the BBB, if they aren't be sure to ask for the details. Do: Check the AM Best Rating. Check the status of the company with AM Best. AM Best monitors the financial stability of companies and assigns a corresponding rating. Companies may be listed with AM Best but not rated, so you have to login to view a company's current status. Membership is free but, you will have to give your email address and a password to join. Some of the best advice I can give to consumers shopping for an extended warranty, is to buy a service contract when the company or administrator listed on the contract is A Rated by AM Best. Remember the contract agreement is between you and the people listed on the contract, ANYONE ELSE'S RATINGS DON'T MATTER! Do: Know the correct information about your vehicle. When requesting quotes from Brokers, Agents or Internet sites it is very important to provide as much information as possible about your vehicle. Such items as Turbo Chargers, Superchargers, 4,6,8 10 or 12 cylinders, 4X4, All Wheel Drive, 4 Wheel steering and Diesel powertrains make a large impact on the cost of an Extended Warranty. Also make sure you know how much coverage you need. Determine how many miles a year you are driving and how long you plan to keep your present vehicle. Purchasing a seven year warranty is unwise if you are panning to keep your vehicle for three years. By providing this information you can eliminate confusion when purchasing warranty coverage. Do: Expect to pay a fair price. There is an old saying in the repair business, "Good work ain't cheap and cheap work ain't good". This rule applies to your extended warranty coverage as well. Cost is a major factor in your decision to purchase a an extended warranty. However, it should not be your only concern. Remember to consider all the information concerning the warranty contract and weigh the pros and cons. Don't be blinded by a cheap proposal that offers half the coverage at half the price. Your warranty contract is an investment in your vehicle's future, it should be based on practical needs as well as wants. Remember, you get what you pay for! Do: Have your vehicle inspected. Performing a vehicle inspection is the best way to gauge just how well your vehicle is aging. This will give both you and the future warranty company peace of mind about the vehicle in question. If any of the components do not meet the pass criteria during the inspection they will need to be replaced or repaired before warranty coverage can be placed on the vehicle. Pass criteria should be outlined in your Brokers, Agents or Internet Sites inspection form. Any warranty company not getting an inspection is setting you up in the future for a possible claim denial. Here is a list of don'ts we have compiled to help you find a good company to purchase an extended warranty from. If you're dealing with an individual or company that's falls into these categories, you should carefully consider who your dealing with. You may be unknowingly playing the shell game. Don't accept any substitute contracts. Always get a copy of the contract before you commit to purchase anything. Don't settle for a word document, a brochure or someone's word of promise, This is a sure way to loose your hard earned money. Most online warranty companies have the contracts they sell in Adobe PDF reader files. These files can be emailed or downloaded over the internet and viewed if you have the Adobe Reader on your computer. If you don't ask the company mail or fax you a contract. If they refuse or are overly concerned about sending a contract by mail or fax, walk away. Be advised that contracts sent by fax can be distorted and unreadable on poor quality fax machines. If you are buying from the dealership asking for a contract is especially important. When ask for a contract the finance manager will hand you a brochure with a list of what is covered by the warranty. You will probably be told that they don't have a real copy of the contract, however rest assured if you decide to buy, somewhere in all of the paperwork you are required to sign at closing there will be a contract. If they can produce a contract for buyers then they can produce a copy for you to review. Caveat Emptor, let the buyer beware. Don't accept anything less than a contract where the company and/or administrator is A Rated by AM Best. Ratings for a re-insurer are worthless, don't be fooled. Go to AM Best and lookup the company names listed on the contract(s) you are considering. If you can't find either one listed at AM Best, you should keep shopping until you find one that is. If the company has proper financing, they are in it for the long haul. Don't be mislead about canceling. Some companies as well as dealerships will tell you that once a warranty is purchased it can't be cancelled. This is a lie! Any extended vehicle service contract can be cancelled at any time, even if it has been financed into your monthly payment. If you are told this call your State Insurance Commission or Attorney General's Office and report the dealership or company. Each state has different regulations concerning extended warranty contracts. Be sure to read through this section and find the laws concerning your particular state. Know your rights! Don't send money in advance for anything. There are still some internet marketing companies that require a deposit before you can receive a contract. Don't send money, give your credit card number or checking account information to anyone in advance for anything! No legitimate carrier will ask for cash in advance. Run from those that do. Don't allow yourself to be pushed into anything. Most consumers will request several warranty quotes when shopping for coverage. As a result you are going to get some phone calls and emails from sales representatives and you should expect it. Professional sales people know the amount of time it takes to make a decision and should give you the help you need without being pushy. Beware of companies that won't take NO for an answer. If you decide to buy from one warranty company and another company continues to call and becomes a nuisance, don't be afraid to hang up the phone or tell them DON'T CALL ME ANYMORE. If they become abusive report the problem to your local phone company. If you have already bought be courteous, you did ask for the information to begin with. Don't be mislead about overheating. Many extended warranties have provisions for overheating addressed specifically in the contract, this is not unusual. However, you should be cautious of contracts that exclude coverage as a result of overheating for any reason. This is a easy out for a warranty provider. Be sure that you understand the language of your contract completely concerning overheating. Beware of companies that email and call you constantly. This is a free market economy we live and work in. If you ask for a quote you should expect a representative to call and email you from time to time. If you are not interested, then tell them. If you haven't made a decision and need more time, ask them to call in a few days or weeks. You can't expect to sales people not to sell. However, if the calls and emails become constant, you should take action to stop them. Take the time to answer and educate them if you are still interested. Professional organizations do follow up and make sure you have everything you need. Don't get passed around. Many companies have several sales representatives and you may from time to time speak with different people. Try to stick with one person, this makes for better communication and eliminates the possibility of a misunderstanding. Simple follow up calls are acceptable, because if they sent the real contract out you have all the facts necessary to make an informed decision. Beware of the "better hurry a rate increase is coming soon" scam. Occasionally a rate increase will take place without notice, but in most cases warranty companies give notice of an increase. Don't ever fall prey to the "you have to buy it today" scam. Cost increase happen in every industry. Mileage, years on vehicles and other factors do happen, so do not be to surprised if the rate you got 2 months ago is now different. Beware of companies that ask for an out of state mailing address. If they need another address in means they can't legally write insurance in your state. Your coverage may be worthless in this event. When in doubt contact your State Insurance Commission to verify the companies ability to offer coverage in your state. These laws apply most notably to California and Florida. If you live in one of these states and have a legal out of state address or dual residency, you can legally purchase insurance without penalty. A vehicle service contract is not insurance, so by doing this, coverage is good anywhere in the US and Canada. Beware of the redirect. Many companies spend more time trashing their competition than communicating the facts about their own warranty contracts. If the answer to your question is a redirect to the inadequacies of another company's contract, then you should reconsider who you are dealing with. If a company can't sell it's own warranty on it's own merits, then it's probably not worth buying. Don't be naive. There are countless scams out there to get you to buy an extended warranty. The simple truth is, if you are going to invest your hard earned money you are going to have to ask some questions and do some research. It may take a few days or even weeks to get all the answers you want. However, it will be worth it's weight in gold when you do decide to buy. Many consumers think that there are thousands of good auto warranty companies to choose from on the internet, this is a false assumption. There are a few companies that have been in business for many years and have good financial backing, but for the most part you can count them on two hands. Do all the due diligence you can, and speak to a knowledgeable person. Many companies have boiler rooms or people who have just started in the business. Do not waste your time or money. Beware of the best warranty on the market syndrome. 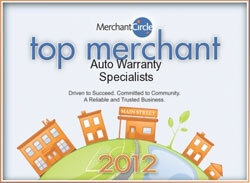 Everyone can't be selling the best warranty on the market or there would be only one extended auto warranty available. Grand claims and promises can't put money lost on denied claims back in your pocket, be sure about whom you are dealing with. Don't be timed or shy, ask your questions honestly and firmly, be persistent. If someone takes offense to that, how much more will they take offense to a claim. These type of companies are not worth dealing with. Have a broker, who works with multiple top carriers, tailor a program to your needs. This is like an HMO for your vehicle. You cannot get every little thing covered. All new vehicles come with a basic warranty (often referred to as bumper-to-bumper). Some vehicles also include a longer (very) limited powertrain warranty. Some manufacturer's may have changed the terms of their basic warranty. We believe that all information contained on this page is correct. Depending on the state you live in, the Performance Warranty is for 3 years/50,000 miles. The Defect Warranty is generally consistent with the manufacturer's bumper-to-bumper warranty with certain parts (catalytic converter and electronic emissions controls (PCM)) for up to 8 years/80,000 miles. Please refer to your owner's manual for your exact emissions warranty.